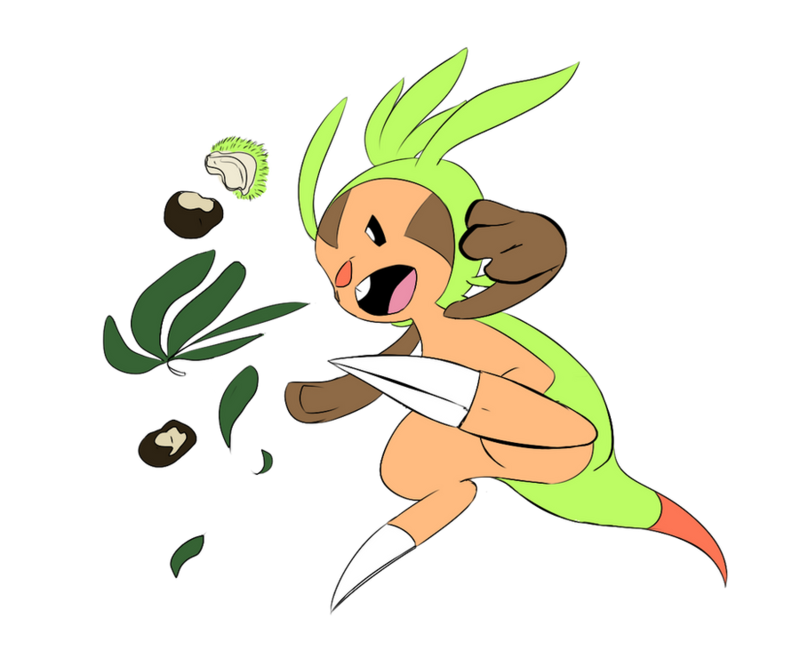 History: Chespin was caught in a Poke Ball by Professor Sycamore once. Sycamore gave Chespin to a noble trainer named Xavier. Xavier battled Shauna, who picked Froakie the Water-type starter, with Chespin. Chespin won and grew to level 6. Xavier and Chespin went on with their adventure but all the sudden, Xavier dropped his Poke Ball and Chespin was let free on accident. After that, Xavier betrayed Chespin for a Charmander. Chespin is off on himself now. Hate to tell you this, but this site is DEAD I'm sorry, but without the admins (who have been absent for a long time), the site decayed into this state. I'd love a revival effort though. Anyway, Temp-approved (I got temporary mod status when the site was very close to it's death).